The first and last time I went to Holland V dates back to when I was just 17. Illegal, broke and unaware of what to do. I remember feeling so "cool" walking down the streets of bars and restaurants with my old friends, we were longing to get inside those bars for a couple of brinks but were way too afraid of getting asked to show our IDs. So.. we left the premises and hung out at the nearby Starbucks instead like how kids should do. hahaha. I've never stepped foot into Holland V ever since and I actually don't know why.. it just never crossed my mind I guess? Whenever my friends and I needed a spot to hang out at over the weekends, we would automatically head to Clarke Quay. Coming back to Holland V after a good 3 years (I mean I've been there other times in the day for shoots and events, just not to hang out at the bars...) made me realised that it's such a great nightspot to be at! I was surprised at how crowded the place was, it was bursting with energy and laughter. The whole atmosphere felt so positive. It didn't feel like that 3 years back when I was walking down the lanes with my old underaged friends. hahaha. Maybe because we all felt intimidated by the mature crowd. Holland V is a great place to chill at with your friends. I would say that it's a place one would hang out at over the weekends without the need to actually dress up. Put the stilettos and suits aside, you don't need to really dress up if you're planning to visit Holland V for a drink any time soon. I mean, it'll be great if you look presentable but people just don't bother about what they're wearing there. I was just wearing a tube top and flare pants with flats and I already felt overdressed! hahaha. Basically, Holland V feels like a nightspot at Bali or something so you can come on down with just flip flops and shorts, and you'll definitely blend in. Besides, you might end up having to sit outdoors so it's too hot to dress up anyway! As mentioned earlier, Holland V was really crowded so we couldn't find a place to sit at, hence we ended up at Everything With Fries (EWF) hahahaha. Okay okay, we just didn't know where to go either. Don't judge, we're newbies. hahaha. The EWF there was different tough. Well, its serves alcohol and there are more options on their menu compared to the usual EWF Fai and I would visit at Orchard Central. But....the food's alright, nothing really special. Honestly, I prefer the choices at OC even though there are fewer varieties there. I hated what I ordered. I had steak and it was so freaking tough, it took me forever to ripped it apart and chew. Also, some parts of it were burnt -.- Not a great way to start my night but at least the ambience and company made up for it. It's been forever since we last hung out. Time flies and it hasn't sunk in to me that we've all graduated from school already! Well.. they have. Not me. Maybe that's why. hahaha. Everyone's slowly moving on in their own lives and we all agree that we're growing so old. I remember when we would party almost every week at Helipad and now, we would just looking forward to chilling at bars instead. I agree that it keeps me MUCH sober and I'm definitely kept away from those nasty hangovers, but I still want to be young! And I still want to party while I can. Maybe just not as much as we used to anymore. I have no idea when I started liking the idea of drinking beer over vodka mixes or even cocktails! I think I've reached the age where I realised how nice it is to just hang out with a couple of friends with a really nice chill drink by our sides. Save the vodka mixes for the clubs and don't even think about serving me cocktails. hahaha. I've kinda grown to hate it and it's such a waste of money!! 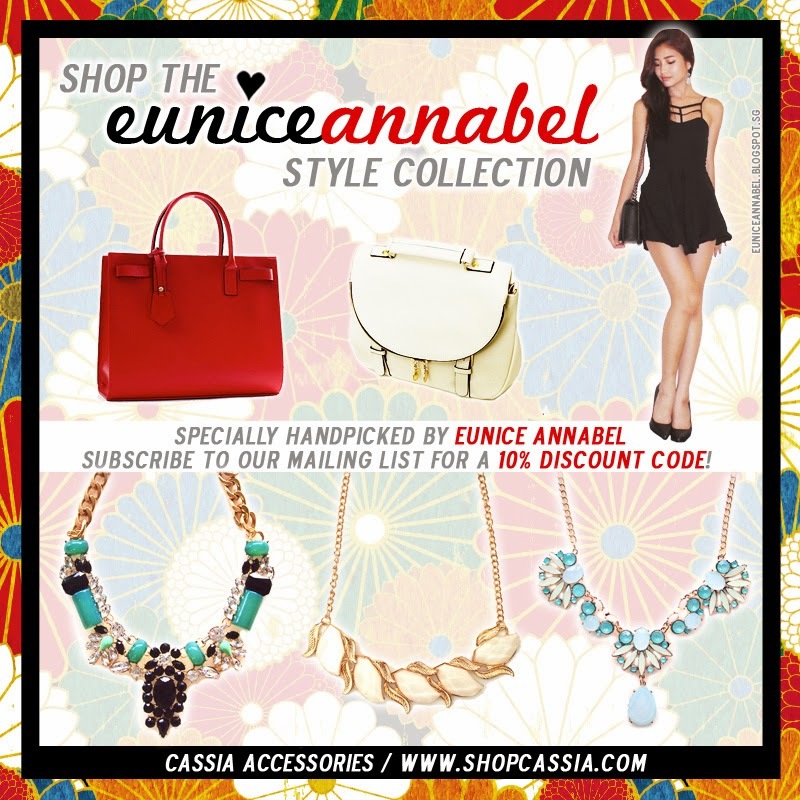 Cassia (pronounced "key-see-uh") is an online retail store specialising in handbags and jewellery for women. Based in Singapore, it was founded on the love for accessories and driven on the basis that the importance of accessorising should never be underestimated. While clothes are essential in fashion and style, accessorising is usually what converts into a brilliant outfit! 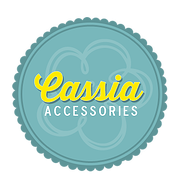 The Cassia Team strives to bring you the latest fashion accessories that are stylish and trendy, yet affordable. 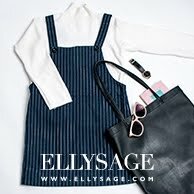 We are constantly looking out for the hottest trends and sourcing the globe for the most effortlessly chic and timeless pieces to accompany you to work, on a causal day out, or even on a nigh out with the girls. The moment I saw Cassia's site, I know for sure that this is an online store that's really trustworthy. They're the real deal! Not only were they really efficient and easy to work with, they're so passionate and committed to their brand. It's always inspiring to see new shops with this amount of passion. Another thing that impressed me was the quality of their products. I've picked out two of my favourites pieces from Cassia, a bag and a necklace, and they're so durable and sturdy. Here's a closer look! I posted this on my Instagram some time back and gained quite a lot of compliments on it. The Majesty Necklace is probably one of the most unique necklaces I've ever own. I don't particularly like green but ever since I'd bleached and dyed my hair green a few months back, I've grown to like it a little. hehe. The green definitely makes this necklace stand out without making it look too gaudy. You'll be happy to know that it's not as heavy as it looks! Yay to comfy gorgeous accessories. 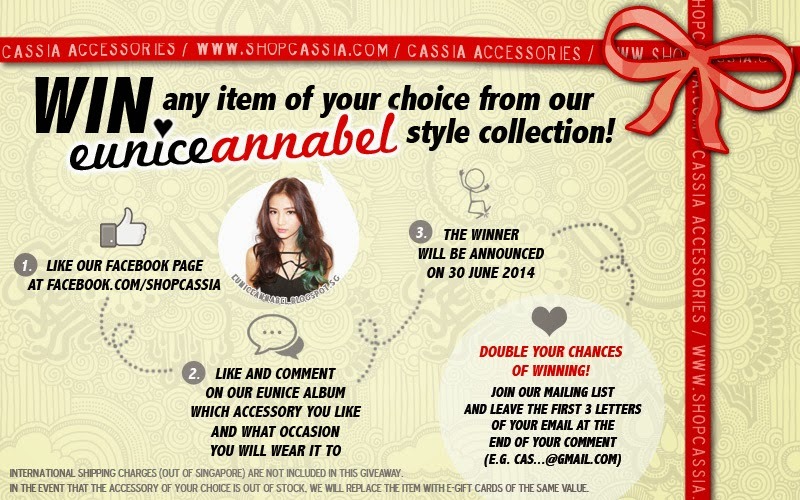 Unsure of what to pick from Cassia? I've actually picked out some of my favourite pieces to make it easier for you! :) The Velda Red Structured Satchel is such a stunner! Carry that and it'll make ANY outfit look like a million dollars. hehehehe. Guess what? You can actually win an item below! Read on to find out how. 3. Comment on the album which accessory you like and what occasion you will wear it to. 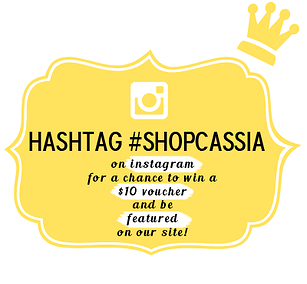 Follow Cassia on their social media platforms for more updates! Subscribe to their mailing list for a 10% discount code! Did you know you can create short links with AdFly and make cash for every visitor to your shortened links.